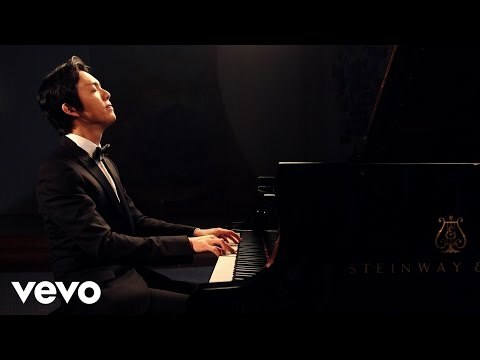 In 2000, Yundi Li, then 18, was the youngest-ever winner of the Gold Medal at the International Chopin Competition, and also the medal’s first Chinese winner. It was the first time in 15 years that any competitor had been judged worthy of the top award. Now 33, he recently had 11 albums in the Chinese classical music chart’s top 15. Global phenomenon Yundi has announced additional dates to his Chopin world tour. These include dates across Europe at venues such as London’s Royal Festival Hall, Vienna’s Konzerthaus and Berlin Charlottenburg UdK Konzertsaal. Following his 21-date European tour, Yundi spoke with Julia Llewllyn Smith, who interviewed “The Prince of Piano” for a feature-length profile now published in The Telegraph. Yundi discusses his performances around the globe, his musical journey, and the love of classical music he is fostering in his native China. IN PHOTOS - 2013: A Fruit Year for Li Yundi. With the launch of the 2014 European tour and the release of his Emperor / Fantasy album just days away, Yundi covers the current issue of Chinese Weekly in a story titled "Li Yundi: Be a King in Your Kingdom."